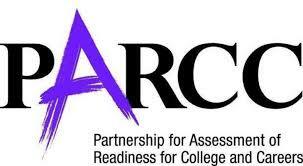 This week in classrooms across New Mexico, students from grades 3-11 will begin taking the standardized test known as PARCC. For the sake of our children’s futures, I am calling for this to be the last time they take the test. The results have been in for a long time: PARCC is a colossal and expensive failure for our state. The next governor must change the state’s education policy to return to sensible assessment and teaching practices, and do away with this gold-plated experiment that has damaged our system of education. During her tenure over the last seven years, Gov. Susana Martinez and her head of Public Education, Hannah Skandera, wasted millions of dollars’ worth of state taxes on “The Partnership for Assessment of Readiness for College and Careers” (better known by its acronym, PARCC). Instead of using scarce public dollars for proven methods of bettering education – smaller class sizes, more professional development for educators, and more books, librarians, nurses, counselors and instructors for art, dance and music – the Martinez administration’s policy has been to funnel millions to corporations for the PARCC curriculum and tests, and its technology. Classroom teachers and parents never had any serious input into the exam. Instead, it was handed down to states and schools from huge corporations, which stood to profit from its adoption, and the federal government. The complete failure of the PARCC exam is proven not only in New Mexico but across the U.S. in states that adopted it. That is why other states are abandoning PARCC. The Nation’s Report Card, which is what the National Assessment of Educational Progress (NAEP) is regularly called, assesses what students know and can do in various subjects. 2017 NAEP scores show no improvement in student achievement after years of PARCC-style “reforms” based on business practices. It wasn’t always this way. From the early 1970s until 1999, NAEP scores were rising in our country – before corporate changes took over federal education policies. While tens of millions of dollars were diverted from K-12 classrooms in New Mexico to for-profit contracts for federal standards, tests and technology, we now face a massive teacher shortage. Blaming of teachers, schools ad students accompanied all the “reforms” represented by PARCC testing. That too was a huge mistake. I am all for accountability in our schools. But it is time we begin to listen to parents and teachers again. Residents of New Mexico must seize the opportunity presented by the 2018 elections to change the direction of our public schools and vote against the trend of high-stakes annual testing of children and the privatization of our public education. Instead, we must create new momentum for learning that is authentic and that furthers the character, intellect, and the lives of New Mexico’s children. After this school year, let us say Adios! to PARCC.